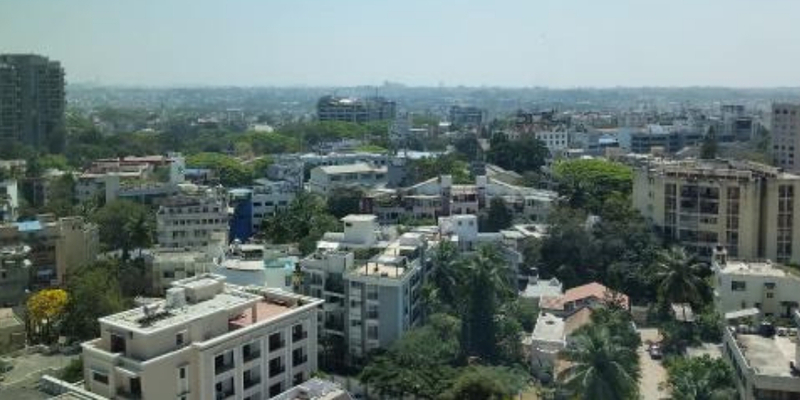 Bangalore, also known as the Pensioners Paradise, has over the years witnessed a meteoric rise in both commercial and residential real estate. While the IT boom gave a thrust to the expansion of the city beyond its natural borders, a few micro-markets in the city still retain their old charm and Banashankari, is one of them! Though the locality is one of the oldest areas of Bangalore, it has topped the charts as a solid residential real estate destination. 99acres looks at some of the factors that have contributed to the growth of Banashankari in Bangalore. Having a unique place in the topography of Bangalore, Banashankari is situated in the Southern part of the city and stretches in between Mysore road on one side and Kanakpura on the other. Well-known for having several religious places and temples, the locality apart from being a religious place has shown tremendous potential for real estate growth over the past many years. Having witnessed an unprecedented growth in the number of new residential projects, the locality is now a preferred real estate hub among the homebuyers. According to 99acres Insite report for the quarter ending December 2018, Banashankari witnessed an uptick of four percent in the average property prices, Q0Q. While a two BHK in this locality is available between Rs 60, 00, 000-Rs 75, 00, 000, a 3 BHK costs around Rs 1 crore. The locality is segmented into 6 stages with the 6th stage (Kanakpura Road-Vajrahalli) being the largest. Cited as one of the oldest neighbourhoods in Bangalore, the 1st stage of Banashankari has sub-localities such as Kalidasa Layout, Hanumanthanagar, Srinagar, Brindavan Nagar, Ashok Nagar, and Avalahalli. While the 2nd stage of Banashankari is known for being a commercial hub, stage 3 is an educational centre, divided into 9 blocks and 3 phases. Some of the important sub-localities of this stage are Mysore Bank Colony, Srividya Nagar, Ittamadu, and Hosakerehalli. Situated in proximity to the Outer Ring Road, stage 4 of the locality is brimmed with retail establishments and shopping malls. The 5th stage of Banashankari is majorly a residential hub with proximity to layouts such as ISRO and HBCS. The last stage which is the 6th stage of Banashankari has recently been developed. It comprises of over 11 blocks. “Being the latest stage of Banashankari, stage 6th is the most affordable one in terms of capital rates. The capital rates here vary between Rs 5,000-Rs, 6,000 per sq ft. However, buying a property in the second stage is an expensive proposition where the average capital rate is approximately Rs 18,000 per sq ft. The locality has witnessed a significant price correction over the past five years. For instance, Srinivas Nagar in Banashankari 3rd stage was priced at Rs 5,000-7,000 per sq ft until a few years ago. But now, the property prices in this sub-locality are between Rs 10,000-Rs 12,000 per sq ft. Kathriguppe, Bhuvaneswari Nagar, Hosakarehalli and Ittamadu are some of the affordable areas that are steadily gaining prominence in Banashankari. The property prices here are Rs 7,000-Rs 8,500 per sq ft”, shares MV Ravindra, Owner, Sumukha Estates, Bangalore. What prompted growth in Banashankari? Owing to its connectivity to Mysore Road and NICE Road, both of which have a large number of industries ranging from small to medium scale enterprises and even multinationals, Banashankari has become one of the major hotspots for residential living. The professionals working in these companies prefer staying in Banashankari because of the locality’s direct access to the industries. The locality is also well-connected to about ten other localities which include Rajarajeshwari Nagar, Girinagar, Basavangudi, J.P Nagar, Uttarahalli, Jayanagar, and Kumaraswamy Layout. Located merely a distance of 6 km from Bangalore city junction, Banashankari enjoys smooth intracity connectivity through the Outer Ring Road. A number of BMTC (Bangalore Metropolitan Transport Corporation) buses run through this locality, providing easy access to the other major localities of the city. Banashankari is also well-connected to four major roads in Bangalore viz. Mysore Road, Kanakpura Road, NICE Road, and the Outer Ring Road. Kempegowda International Airport is approximately at a distance of 42 km away from here. The locality also has a bus depot of its own in Stage 2, which is centrally located and connected to Jayanagar, J.P Nagar, and Kanakpura Road. While connectivity has a played a significant role in the development of Banashankari, the locality is also considered to be one of the best localities having a well-laid civic and physical infrastructure, which was not the case earlier. Today, the locality houses some of the best educational institutes, hotels, theatres, multiplexes, shopping centres and healthcare facilities. Not only this, but it also has well-developed water, electricity, sewage, and drainage supply. The green canopy across the locality is yet another factor which enhances the livability quotient of Banashankari. Several reputed developers are in fact, cashing in on the demand for housing in the locality. Banashankari is one such locality that has gradually emerged and gained prominence in the residential real estate market. With enough space to accommodate the augmenting population of Bangalore combined with other factors as mentioned here above, it is expected that the area will further witness a surge in demand for residential units and a steady price appreciation in the times to come.